Participants in the L&M program strengthen communication skills and increase empathy for patients. Literature & Medicine: Humanities at the Heart of Health Care® is a national award-winning reading and discussion program that has helped health care professionals across the country improve their communication and interpersonal skills while increasing their cultural awareness, empathy for patients, and job satisfaction. As one participant writes, the Literature and Medicine discussion format “renews the heart and soul of health care,” giving healthcare workers the opportunity to see through another person’s eyes, and to break down the hierarchies among doctors, nurses and administrative staff that can impede care. By helping healthcare workers at all levels better understand their patients and each other, Literature & Medicine improves the quality of healthcare in New Jersey. Applications for Fiscal Year 2019 are not currently being accepted. However, please check back for updates. 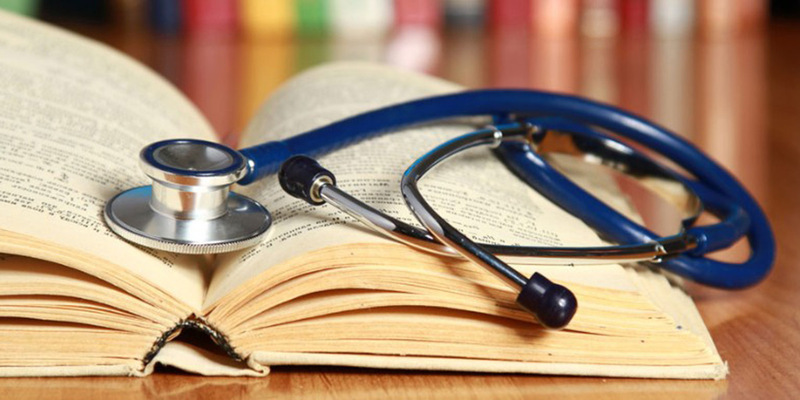 How do I bring Literature & Medicine to my healthcare organization? NJCH funds a select number of Literature & Medicine sessions each year. If your organization is interested in applying through the subsidy program, contact Jason Allen to obtain specific eligibility and application information. If the subsidy program is unavailable, the program is available for purchase. Generally Literature & Medicine is six guided monthly, 1 hour sessions. The program facilitator works with the organization’s Project Director to confirm scheduling, materials, and content. Who attends Literature & Medicine? The Project Director at the host site works with various departments to bring together a diverse group for the Literature & Medicine sessions. Nurses, CNAs, doctors, therapists, LPNs, administrative staff, custodians, education staff and other facility personnel can all benefit from participation.